A 21-year-old engineering student is claiming to be the first person to cross mainland Canada in an electric car. An engineering student from B.C. is claiming to be the first person to cross mainland Canada in an electric car. 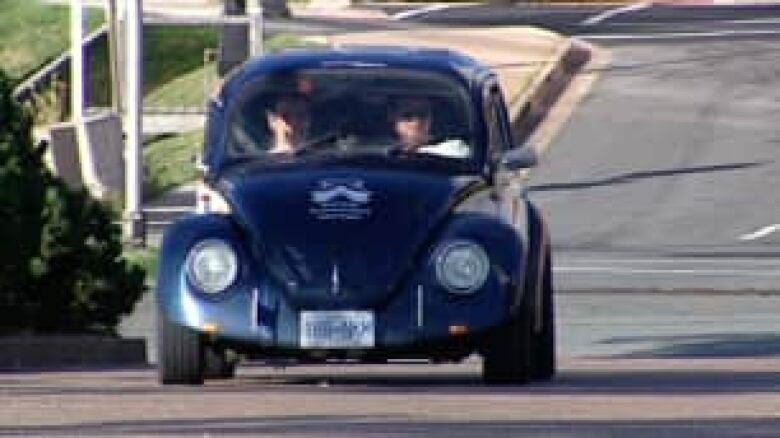 Ricky Gu, 21, arrived in Halifax in his converted 1972 Volkswagen Beetle on Monday night. "It feels great," he told reporters. "I can't believe we made it without a single problem at all." Gu built the electric car himself, funding the project through grants from the University of British Columbia. Sponsors donated about $25,000 in parts. But the cost of driving coast to coast was much cheaper. "It cost about $3 for every 300 kilometres. So 6,500 kilometres, it cost about $64 in electricity!" said Gu. The journey took two weeks. Gu had to stop every 350 kilometres or so to recharge the lithium iron phosphate battery pack. Finding a place to power up was no problem, he said. "We just proved there is existing electric infrastructure across the entire Trans-Canada Highway. There's countless RV parks and campgrounds where big RV trailers go in to plug in their power," he said. "We just went there and said, 'Hey, we need to plug in a car,' and everyone's like, 'Sure, go ahead.' "
Gu said he pursued the project to promote green, environmentally sustainable technologies. 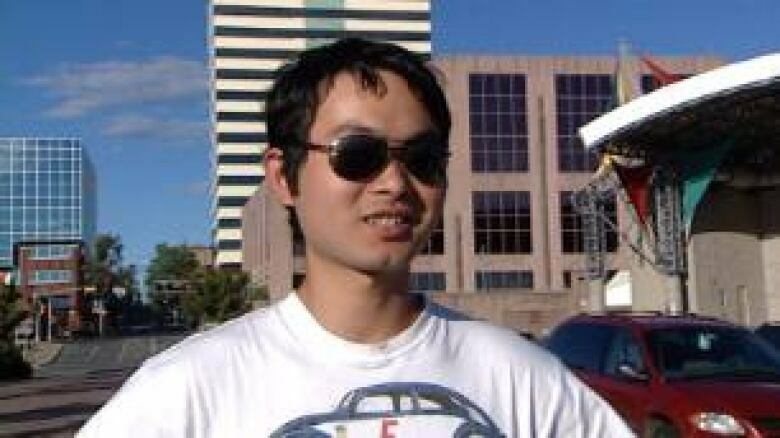 "I mean, electric vehicles are going to be the future and we can't rely on fossil fuels forever," he said. Gu is flying home on Tuesday to start another year at UBC. His electric Beetle is returning in a more traditional means — in the back of a diesel-burning truck.